Built for speed, these High Performance red dot sights will take your shooting ability to the next level. By using a single red dot as an aiming point, target acquisition is as simple as point and shoot. The unique Heads-Up-Display (HUD) design provides an unlimited field of view, while eliminating obstruction and tunnel vision common to tube style scopes. 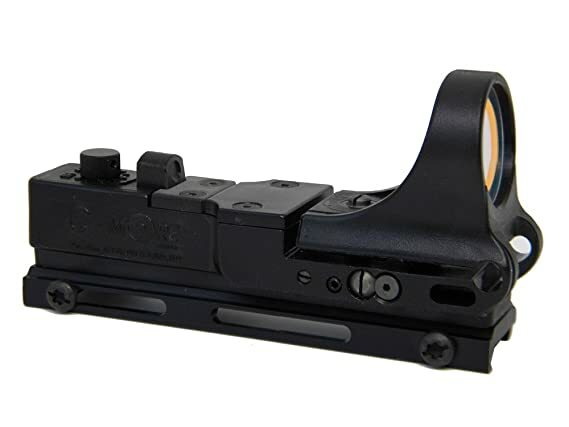 The Tactical Railway sight quickly attaches to the Picatinny rail on a Flat Top AR style rifles and carbines and is set at the correct height for co-witnessing with the weapons iron sights. Built for speed, these High Performance red dot sights will take your shooting ability to the next level. By using a single red dot as an aiming point, target acquisition is as simple as point and shoot. The unique Heads-Up-Display (HUD) design provides an unlimited field of view, while eliminating obstruction and tunnel vision common to tube style scopes. The Railway sight quickly attaches to Weaver and Picatinny rail style scope mounts. This enables the Railway to be attached to virtually anything. Shotguns, rifles, handguns, revolvers, crossbows, paint ball guns; these are just a few of the applications the Railway has seen. The sight can be easily detached and installed on other weapons, making it the most versatile in the C-MORE line up. The STS2 is the smallest C-MORE available. It’s compact design and multitude of features makes it a great choice for any application. 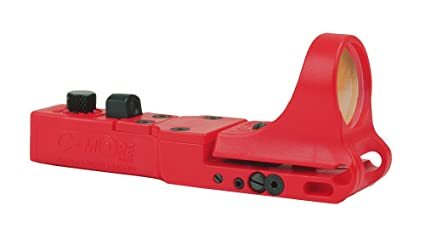 Many STS2 mounting solutions are available, including a weaver/pica tinny rail mount, dovetail mounting kits for direct slide mounting on popular hand guns and scope tube mounts for mounting to your telescopic scopes. Just like our competition sights, the STS2 head up display provides an unobstructed sight picture in which the red dot hovers on the sight line, illuminating the point of impact on the target, creating the fastest target acquisition in existence and unlimited eye relief. 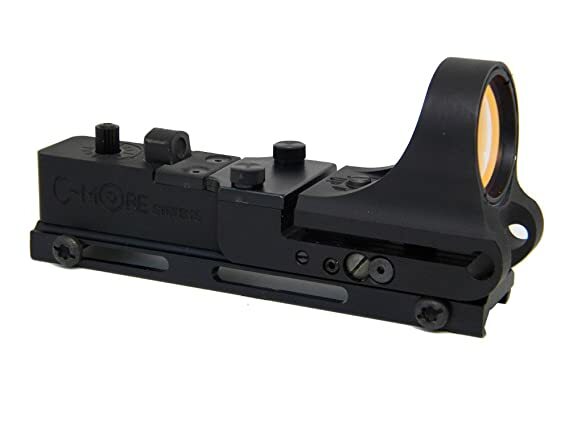 Similarly it uses a beam-splitter lens made of glass; hard coated for maximum scratch resistance and light transmission, while the parallax free design enables targets to be acquired without the need to center he dot in the lens. 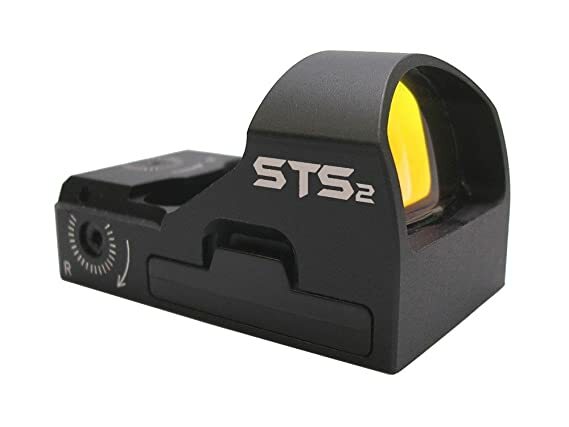 The STS2 uses a CR2032, lithium battery that is contained within a removable battery tray, which permits battery replacement without dismounting the sight and is O-ring sealed for waterproofing; this eliminates the need for re-zeroing when replacing a battery. A 10-position push button switch provides manual intensity adjustment; automatic return to the previous brightness setting on start up; and an off position. 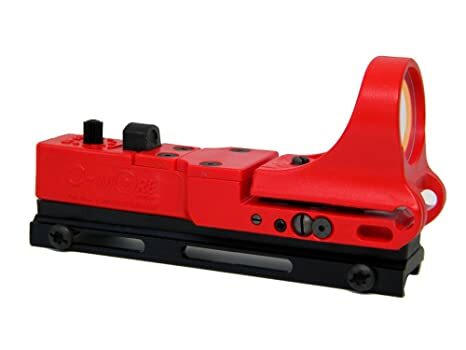 The STS2 provides 1 moa click adjustments for windage and elevation resulting in pinpoint accuracy. A positive locking screw for both windage and elevation lock the adjustment screws in position. Built for speed, these High Performance red dot sights will take your shooting ability to the next level. By using a single red dot as an aiming point, target acquisition is as simple as point and shoot. The unique Heads-Up-Display (HUD) design provides an unlimited field of view, while eliminating obstruction and tunnel vision common to tube style scopes. The Slide Ride was originally designed to mount directly to the slide of Glock handguns, which proved the durability and reliability of the C-MORE design by withstanding the rigorous pounding motion of recoil. But the Slide Ride has also become the sight of choice for “custom” applications because of its ability to attach to any flat surface. 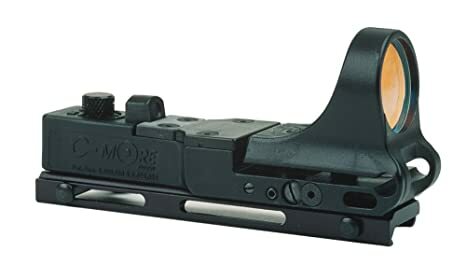 This enables the sight to be mounted directly to the firearm or a custom made mount, allowing the sight to be applied to applications that may not provide standard mounting options. Built for speed, these High Performance red dot sights will take your shooting ability to the next level. By using a single red dot as an aiming point, target acquisition is as simple as point and shoot. The unique Heads-Up-Display (HUD) design provides an unlimited field of view, while eliminating obstruction and tunnel vision common to tube style scopes. The Railway sight quickly attaches to Weaver and Picatinny rail style scope mounts. This enables the Railway to be attached to virtually anything. Shotguns, rifles, handguns, revolvers, crossbows, paint ball guns; these are just a few of the applications the Railway has seen. 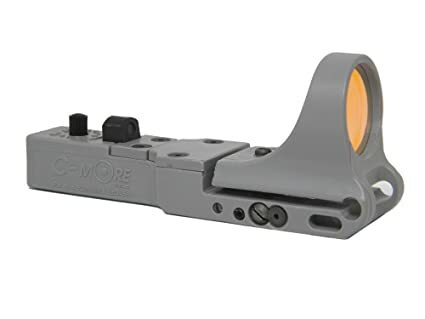 The sight can be easily detached and installed on other weapons, making it the most versatile in the C-MOREline up. 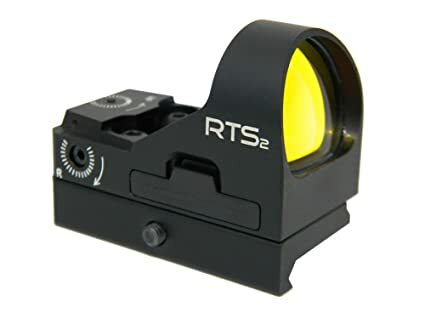 The RTS2R’s has a removable Picatinny or Weaver style rail mount, so the sight can be direct mounted or utilize the various STS mounting kits. Just like our competition sights, the RTS2R head up display provides an unobstructed sight picture in which the red dot hovers on the sight line, illuminating the point of impact on the target, creating the fastest target acquisition in existence and unlimited eye relief. Similarly it uses a beam-splitter lens made of glass; hard coated for maximum scratch resistance and light transmission, while the parallax free design enables targets to be acquired without the need to center the dot in the lens. 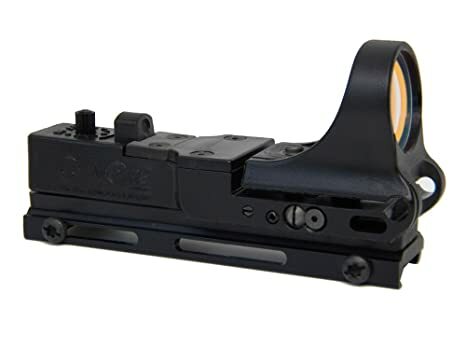 The RTS2R uses a CR2032, lithium battery that is contained within a removable battery tray, which permits battery replacement without dismounting the sight; this eliminates the need for re-zeroing when replacing a battery. The battery tray is O-ring sealed and is part of the waterproofing that goes into every RTS2R. A 10-position push button switch provides manual intensity adjustment; automatic return to the previous brightness setting on start up; and an off position. The RTS2R aircraft alloy housing and electronics are designed to handle the hottest loads from large caliber firearms. The RTS2R provides 1 moa click adjustments for windage and elevation resulting in pinpoint accuracy. A positive locking screw for both windage and elevation lock the adjustment screws in position.